Ep. 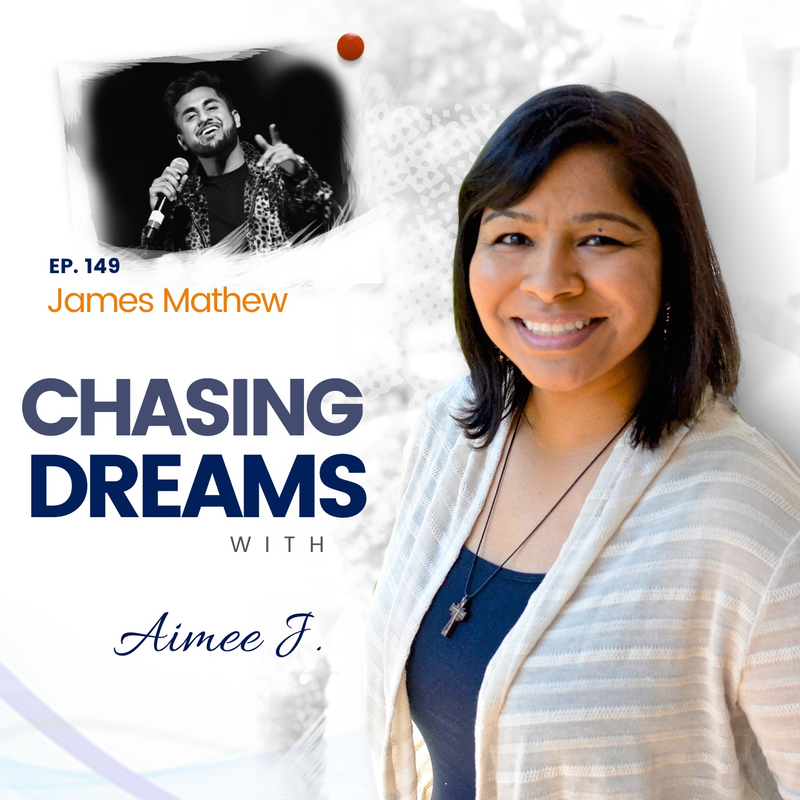 149: James Mathew ­ Chasing the Diverse “American Dream”: A more beautiful and musical nation | Aimee J. 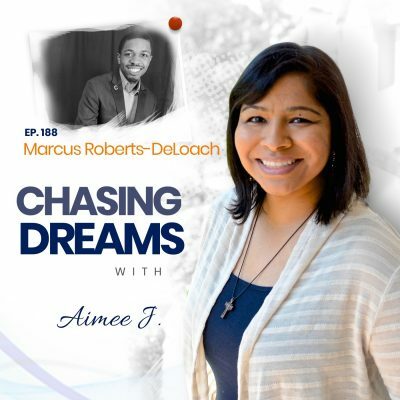 At what age should you start to chase your dreams? Many people think you should get through the college years and have some life experiences before you really know what you want. But why should your dreams have those time-stamped limitations? 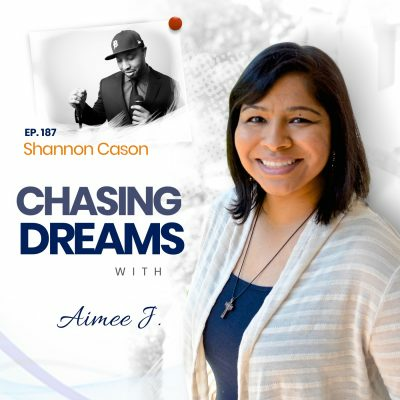 Today’s guest shows that you’re never too young to take steps toward accomplishing big things in chasing your dreams. My guest today is James Mathew, my nephew! He is a rising sophomore at Harvard College, pursuing a degree in sociology and global health and health policy. He grew up in a paradoxical environment in the Chicago suburb of Hinsdale, Illinois. His identity as a first-generation Indian-American informs his politics and fuels his passion for social impact, empathy, and diversity. His most notable endeavors to date are Got Food?–a smartphone application that curbs the effects of domestic hunger, and 21 Colorful Crimson, a Harvard-based music group that advocates for a more inclusive America while pursuing professional success. James is staying with my family for the summer while he interns in DC and he is doing such amazing things at a young age that I knew I HAD to have him on the show. You’ve heard the stereotypes we sometimes give to certain ethnic groups, like Indian-Americans. James grew up hearing these, too. He was a good student in math and science–like many Indian-Americans–so everyone assumed he would be a doctor. This assumption hits home to James since his mother and several other family members are also doctors. While James’ family did have expectations of his academic performance, he never felt pressured by them to fulfill a certain path in life. He actually felt more pressure from outside his family. Instead of pursuing a medical degree, James’ true passions run in the direction of music, which is also a talent that runs in his family. Music is a love that he can’t keep to himself, and he has found amazing ways to share this passion with others. What comes to mind when you hear the word diversity? Unfortunately, the word has a negative connotation in society today, but it shouldn’t! James is a member of the unique Class of 2021 at Harvard, the first to NOT have a clear racial majority. James wanted to capitalize on the diverse environment of his class and formed the group, 21 Colorful Crimson, out of a desire to share his passion for music. The 21 stands for their class name AND the fact that there are 21 members. The word Colorful highlights the different backgrounds and narratives of the members, who come together around the music they all love. Crimson is the mascot of Harvard. James and his fellow group members overlook and reject the divisions that society would put on them and they are all passionate about what the group stands for and the music they create. What can a few college students accomplish in only six months? Ask James and his fellow group members! The group began only six months ago as an idea that took shape over winter break. It took time to form the group and gather the members they needed. The group, 21 Colorful Crimson, is made up of rappers, producers, singers, artists, and more. Many of them perform individually on the side as well as in the group. They use any individual attention to shine back on the group, which has proved to be a healthy arrangement. They hope to stay together for the duration of their college career, so the possibilities are endless! They are learning as they work together, how to hear each other’s voices and opinions to better inform a collective perspective. Check out the resources below to listen to their first single, How You Gonna Hate.